KOI Drag Racing will entertain crowds on Wednesday. Rick Springfield brings his music to Fulton County for a Sunday show. 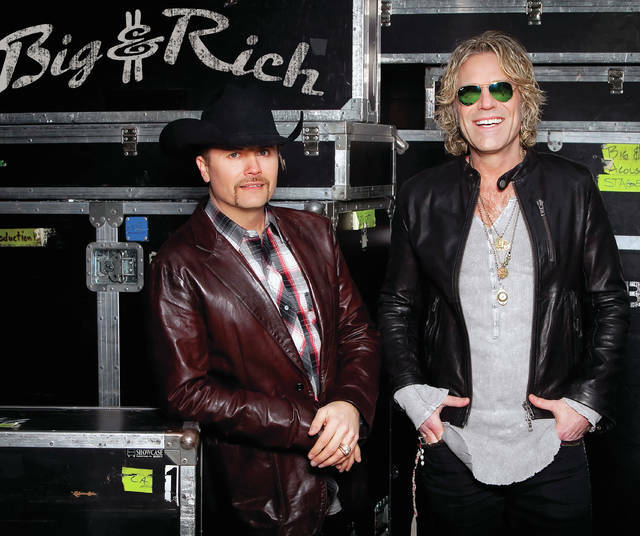 Big & Rich take the Grandstand stage on Labor Day. Much has changed in Northwest Ohio and Southeast Michigan in the past 160-some years: cell phones and wireless networks have replaced the telegraph, voice activated lights have replaced kerosene lanterns and candles, and with the advent of testing self-driving cars, the days of transportation by horses are nostalgic. But one thing has remained the same: since 1857, the most popular way to mark the end of summer in this agricultural-rich area has been to attend the Fulton County Fair. That’s because there’s just no replacement for this good old-fashioned, family-friendly, week-long celebration of country life. Music will also be ringing out from the north end of the fairgrounds on Sunday evening when Christian group 10 Talents performs in a free concert at 5:30 in the Christian Music Building. On Monday, Sept. 3, the Fair’s Labor Day Grandstand Concert will feature Big & Rich, along with Caroline Kole who will get things going at 7 pm. Their 2014 triple-platinum Horse of a Different Color demonstrates their ability tap into the best strands of popular music. Caroline Kole has opened for artist such as Blake Shelton, Alan Jackson, Martina McBride, among others. Kole will also be performing on the South Stage on Sunday, September 2 at 5:00 pm which is a free concert. The infield tracks will be burning up during Fair Week. On Friday night the Fair’s NTPA-Sanctioned Tractor and Truck Pulls roar into the Grandstand at 6:30 p.m. Followed by duo-track action on Saturday, Sept. 1 when Maumee Valley Pullers fire-up the Hot Farm and Pickup Truck pulls, and new this year, Tri-State Mini Tractors will be pulling their weight too. The Fair’s mechanized mayhem continues on Wednesday night at 6:30 when the KOI Drag Racing event sees green and goes. Racing anything and everything between snowmobiles and mopeds. For those who prefer their horsepower natural, the Fair offers two big days of harness racing with pari-mutuel wagering. Racing begins on Saturday, Sept. 1, at 11:30 a.m. on the Grandstand track, and continues on Tuesday, Sept. 4, with races beginning at 6 p.m.
And remember to dress with your festive hat on Saturday for the Derby Hat contest, plus the energetic stick races for youth will take place both days. Horse lovers who prefer a team approach will enjoy the Draft Horse & Pony Show on Wednesday, September 5 at 11:30 am. As teams, and solo-pulled carts, parade in the Osthimer Horse Arena for judging. And in its 161 years of tradition, the fair offers plenty of free entertainment. New to the Fair’s line-up of musical entertainment is the Martin Family Circus. Just as one might imagine a circus to be—upbeat, unexpected, accomplished, and exciting—Martin Family Circus aims to bring that same joy along with lively “music that makes you smile!” They will be performing on Thursday, at 7 p.m. at the South Stage. It wouldn’t be a fair—at least not a Fulton County Fair—without the agricultural displays and Junior Fair projects that feature animals of every stripe and color. There’s a full line up of animal judging—both Jr. Fair and Open Class, as well as antiques, vegetables, fine arts, culinary, and more. An auction of the delectable baked goods will take place on Friday at 5 p.m. in the Veterans’ Pavilion. Attendees at last year’s Fair were mesmerized by the glassblowing demonstration. Mobile Glass Studios will be at the Fair again this year Saturday through Monday. Items produced will be auctioned on Tuesday at 4 p.m. Another Fair-favorite is the heritage display. This year’s “Family Farming in the 40s and 50s,” will feature items from this era that were part of everyday life from the fields to the kitchen and everything in between. Three days of the Fair will celebrate special groups in Fulton County. On Saturday, Sept. 1, all veterans and their spouses will receive free admission till 6 p.m. and are invited to attend the free ham and bean dinner sponsored by the Fulton County United Veterans Association beginning at noon. On Tuesday, Sept. 4, which is Junior Fair Day, schoolchildren will receive free admission until 6 p.m. and discounted ride prices from 11 a.m. to 5 p.m. On Wednesday, Senior Citizens’ Day, Fairgoers ages 65 and older will be admitted free till 6 p.m. Regular gate admission to the Fulton County Fair is $5 per person and includes free parking. Children 15 and under are admitted free when accompanied by an adult. Gate or free admission does not include ticketed shows. Money-saving season tickets may be purchased for $15 prior to the Fair from 4-H and service clubs, at the Fair office, or at area businesses. Season tickets are available at the gate Friday and Saturday of Fair for $20. Gate or free admission does not include ticketed shows. 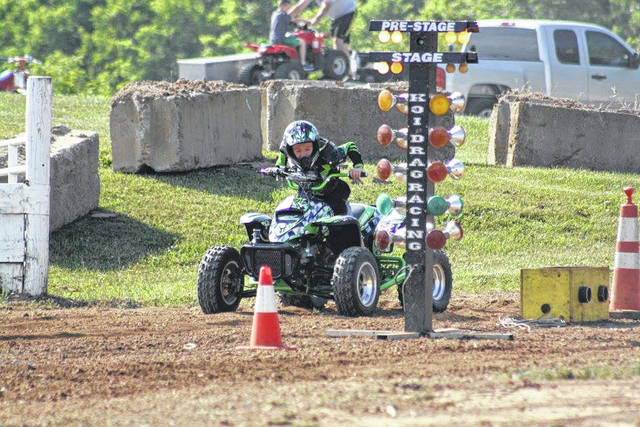 Considered one of the premier county fairs in Ohio, the Fulton County Fair expects to attract more than a quarter-million visitors once again this year to the “Top of Ohio” Fairgrounds, just north of Wauseon on State Route 108 at Turnpike Exit 34.
https://www.swantonenterprise.com/wp-content/uploads/sites/23/2018/08/web1_KOI-Drag-Racing-Image.jpgKOI Drag Racing will entertain crowds on Wednesday. 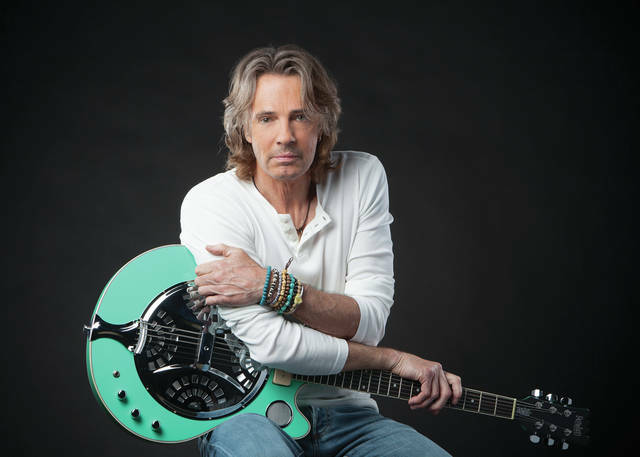 https://www.swantonenterprise.com/wp-content/uploads/sites/23/2018/08/web1_Rick-Springfield.jpgRick Springfield brings his music to Fulton County for a Sunday show.